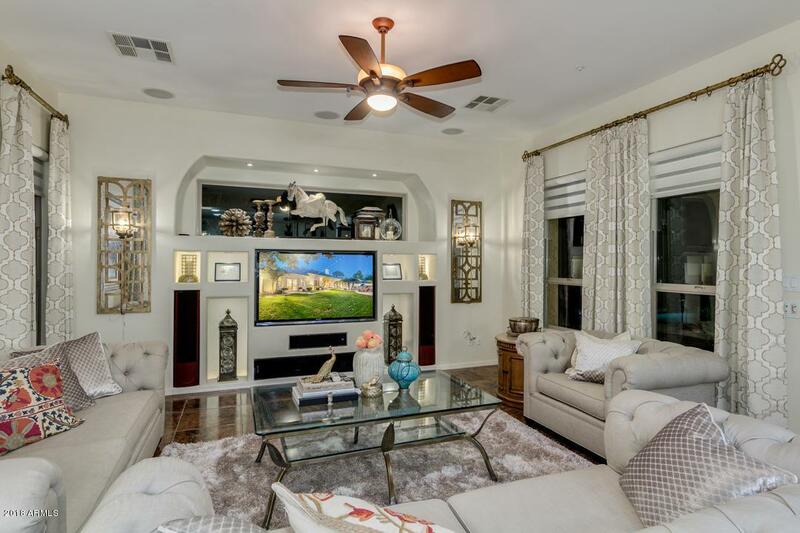 Incredible Home on OVERSIZED PRIVATE CUL-DE-SAC LOT. Rare Block Fence w/ No Neighbor in Back. Greenbelt Just One Door Away. 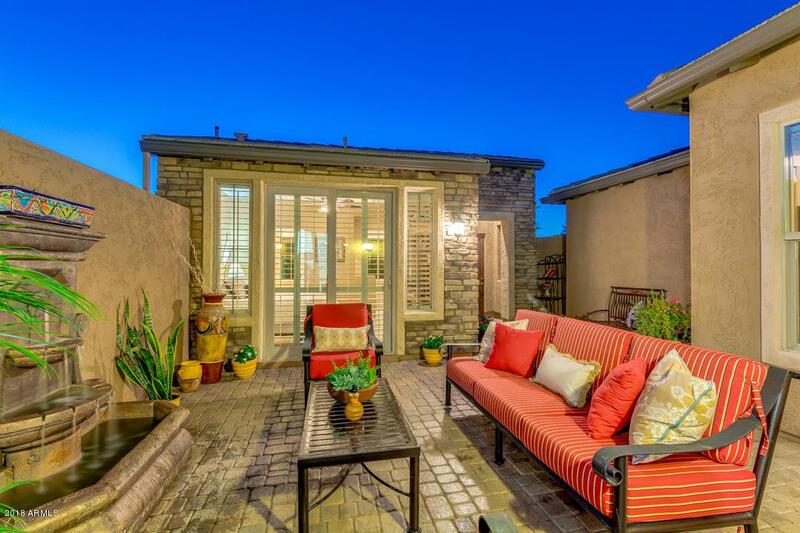 High Demand Serenitas w/ Casita. Decked Out from Front to Back. 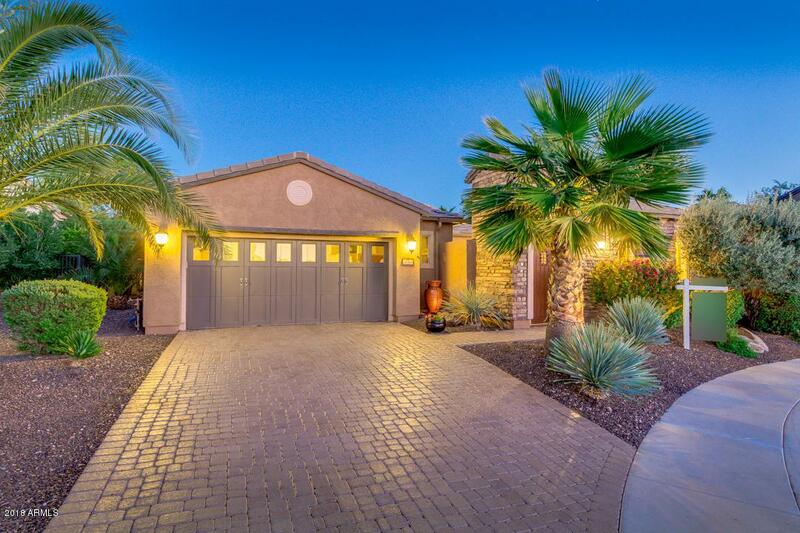 Great Curb Appeal w/ Pavered Driveway Leads to Pavered Courtyard w/ Water Feature. Gorgeous Tile in High Traffic Areas. Shutters. Custom Paint. Custom Window Treatments/Drapes. Gourmet Kitchen w/ Gas Cooktop, Staggered Cabinets w/ Hardware, Under-Cab Lights, Tiled Back splash, Pendant Lights, R/O & SS Appliances. Media Niche w/Surround Sound in Family Rm. Unique Slider at Formal Dining. Serene Master Suite w/His/Her Closets w/ Custom Built-Ins, Custom Tiled Shower & Slider to Courtyard. Resort-Style Backyard w/Pool, Spa, Large Patio, BBQ Island, Turf. 4ft Ext Garage w/Cabs, Epoxy Floor & Water Softener. Listing courtesy of Rethink Real Estate.